I stood at the bottom of the hill, which was named Celau Tengah. Celau means the sloping hill, and the Tengah (middle) because it is between several hills. Thus the people of Napal Melintang in Sarolangun Jambi gave their names. 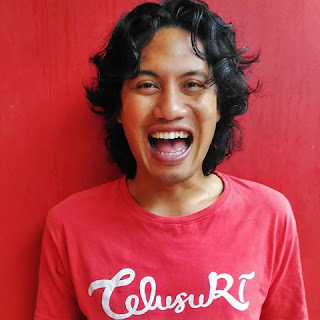 Located in Kars Bukit Bulan, Celau is standing. I along with a research team from the Archaeological Center of South Sumatra visited this hill because there is a prehistoric site. In Napal Melintang, residents keep buffaloes released. These buffaloes will return home in the afternoon. The buffalo cage here uses the cave's halls. 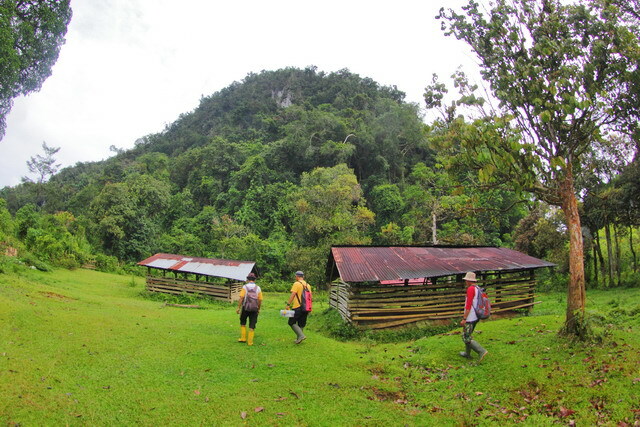 The cave-hall used by buffalo dwellings is named Gua Kandang Kerbau. 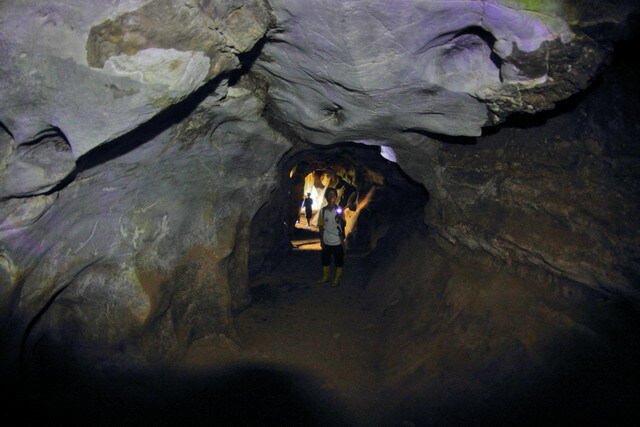 The cave door is wide and inside it is quite wide and quite accommodates 10-20 buffaloes. Unlike a cage in general, there is no buffalo dung and a stench like a cage. Buffalo has the behavior of not wanting to dispose of feces in its own cage. On a wall at a height of 3.5 m, there are cave paintings in black. I translated as a bird, peacock to be exact. A long tail pattern similar to a peacock. The red thread that I can pull, why paint a peacock? Peacock is easy to remember and painted and has an eye for it. The other side, this bird is still in the forest around here. A buffalo cage is a witness of the past. 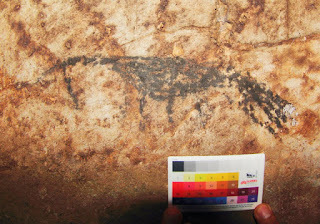 If this is truly a prehistoric human act, we can be sure that a new history will emerge from a stable in Indonesia. Maybe the buffalo cage will be included in a world-class magazine; nature, national geographic, and certainly the history of the world will take notes.